Explore Charlottesville from the air, on horseback or at the end of a rod and reel. Then come back to the luxurious and historic Dinsmore Inn to recharge. We offer many packages to make your stay with us even more magical. 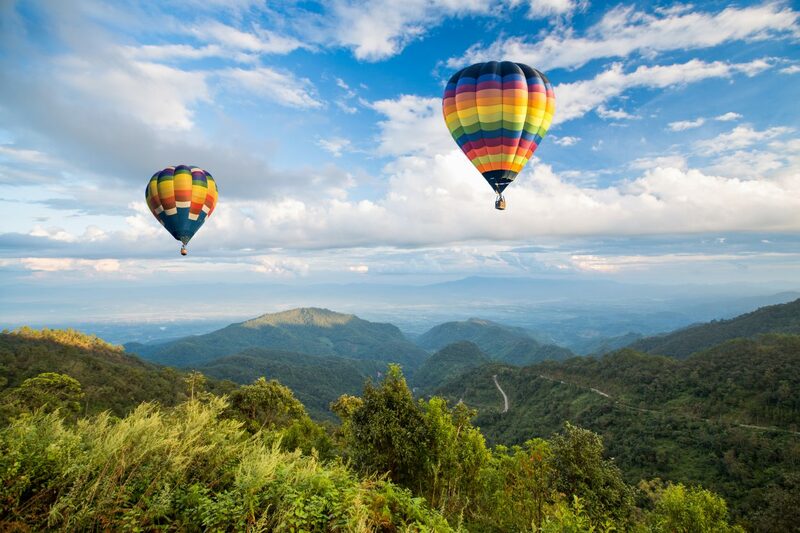 Drift over the treetops in beautiful Albemarle County in a hot air balloon ride. 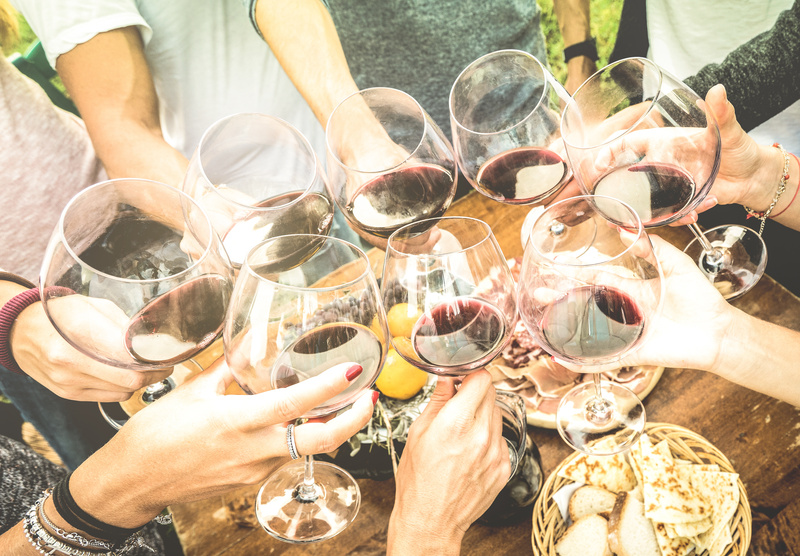 Create your own itinerary from a list of various breweries, wineries, cideries, and distilleries. 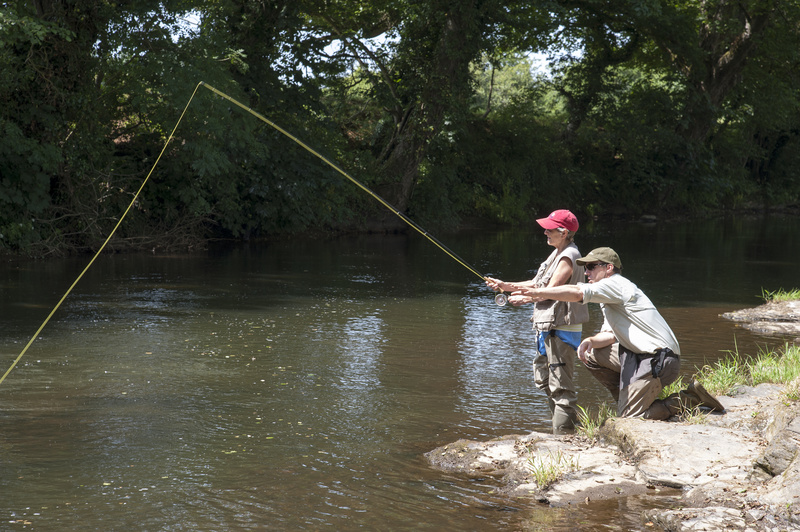 Come away from your day with some new fly fishing tips, tricks and knowledge on how to make your time on the river more successful. Enjoy a trail ride through the gorgeous countryside of Albemarle County. 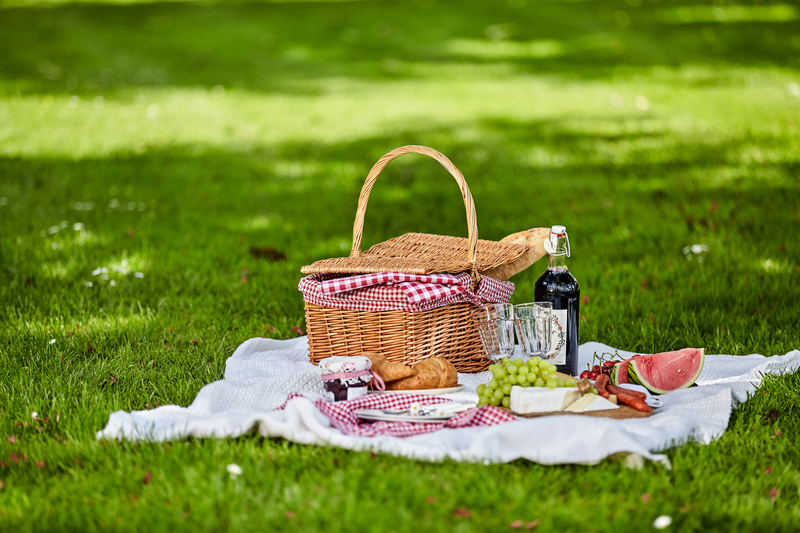 Let us prepare a delicious picnic lunch and help you find the perfect spot to enjoy it. 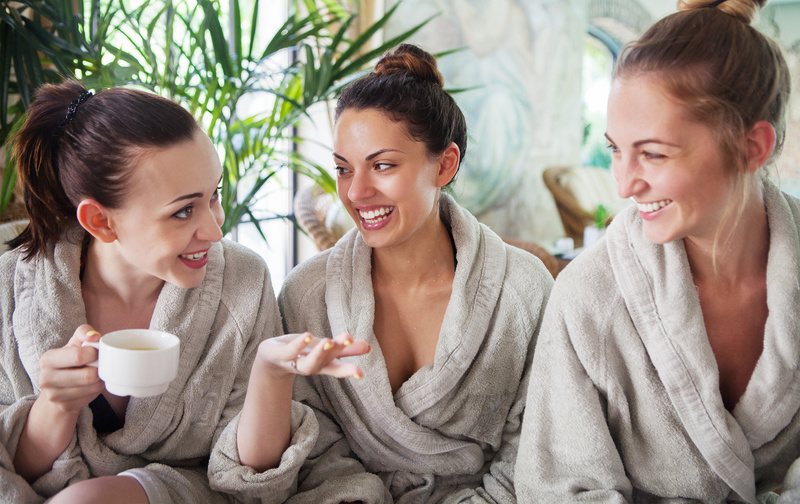 Tea for you … and a bit of pampering too! Delve into romance with this package. 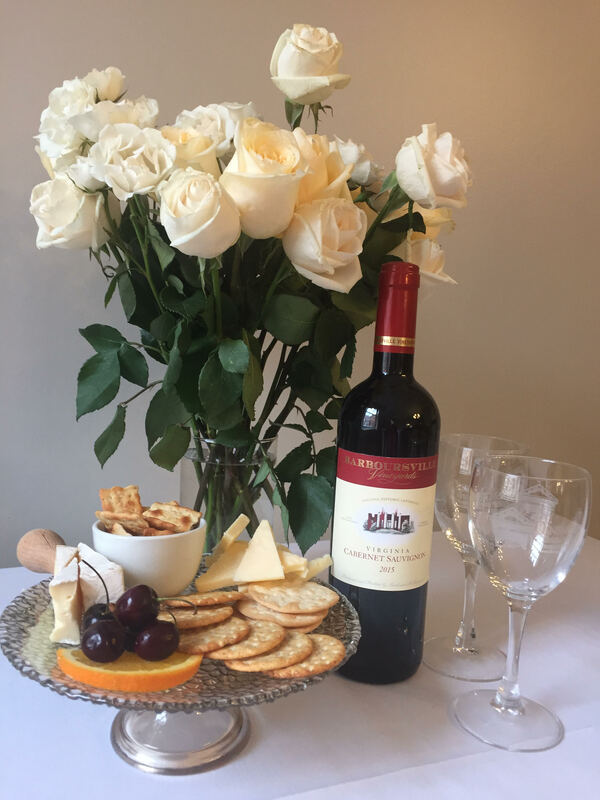 Arranged in your room prior to arrival, relax and enjoy a bottle of local Barboursville Reserve wine, a delectable fruit and cheese platter and one dozen roses for an additional $75. Also includes two Dinsmore Inn souvenir wineglasses and a personalized note upon request. This package provides a romantic welcome with a local flare. The package includes a bottle of local sparkling wine and two champagne flutes. 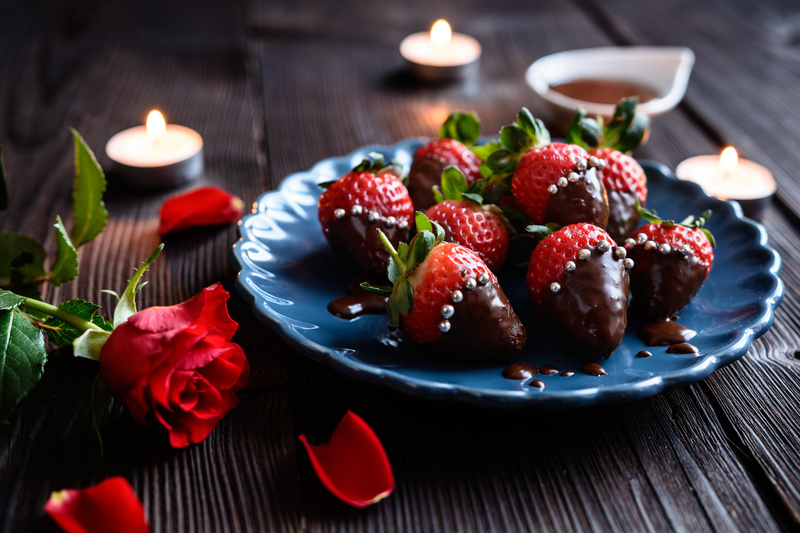 Delectable chocolate-dipped strawberries and an assortment of sweets from Gearharts Fine Chocolates will be waiting on a platter. We can even personalize the experience with a note. 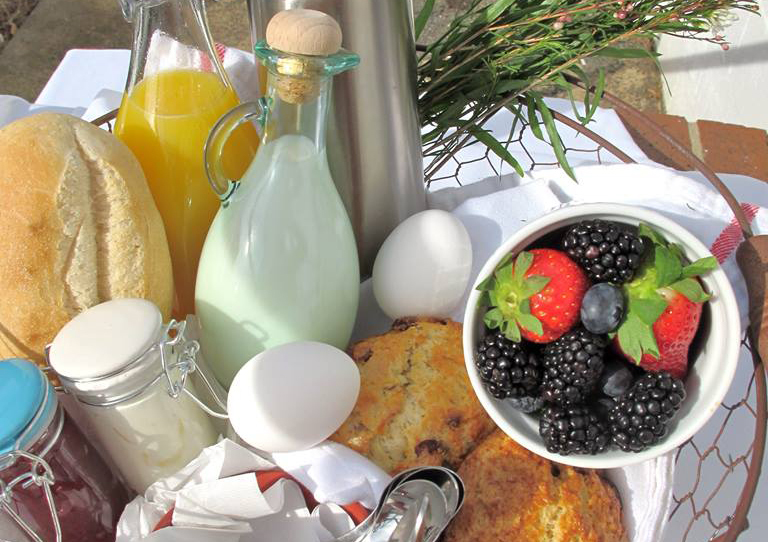 While the Dinsmore offers brunch to our guests in the Farm Bell Kitchen restaurant, we alternatively offer an in-room farm basket. For an additional charge, we will deliver room service (at a time you specify) featuring: scones, artisan bread, fresh cut flowers, juice, coffee, fruit, hard boiled eggs and an assortment of jams and cheeses. 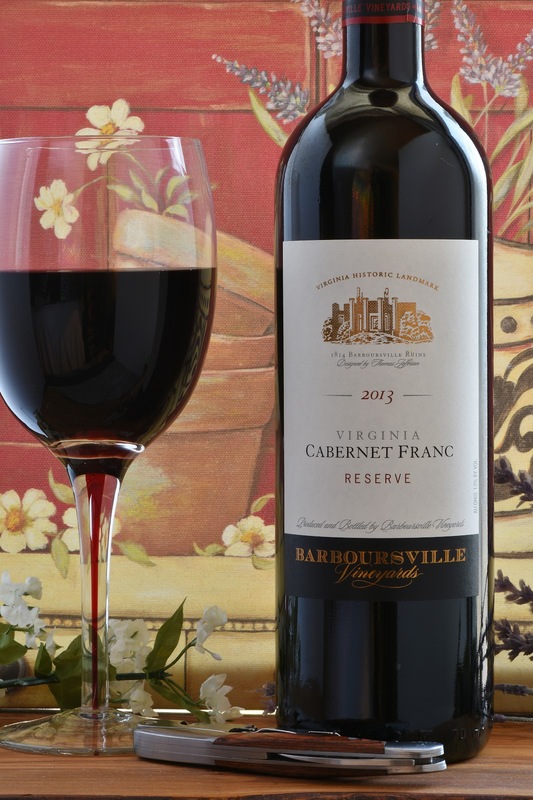 Receive a free bottle of Virginia wine or sparkling cider at check-in with the purchase of a gift certificate ($200 or more).